​ Thank you for visiting our website! If this is your first visit with us, we will make it our job to see that you are a satisfied customer who comes back to visit us again. If we've serviced for you before, we appreciate you looking us up again. We've been in business since 1979. For over 30 + years, we have built a strong customer base in Western New York as well as a lot of friendships. Having said enough "about us", let us tell you what we'll do "for you". 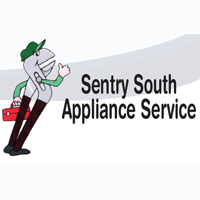 As a family-owned and operated business, we understand that you are looking for someone you can both depend on and trust to meet your home appliance and heating and cooling needs. We also understand that you are busy. Therefore, we promise to make every effort to handle your service needs to accommodate your personal schedule while giving you the best possible service at a fair and reasonable price. In addition to our in home service, we carry an extensive stock of home appliance, furnace and water heater parts and, if we don't have your needed parts in our store, if it is available at one of our local distributors, we'll get it for you and sell it to you at the same price you'd pay for it if you had to take the time to go get it yourself. If the part you need is not available locally, we will special order it for you. Besides being a service provider, parts, and sales store, our office staff is always willing to answer questions for the "do-it-yourselfers". So if you need in-home service, shop service, a part, or just have a question, come in and see us or give us a call. ​ We look forward to serving you and making you another satisfied customer.